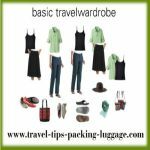 This is one of the most important travel packing tip I can give you. 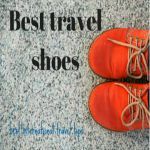 I have good quality womens comfort shoes, for my travel shoes. Always make room in your suitcase or carry on for comfortable shoes. Comfort is a really big issue for me. I have inflammation in my feet from a type of Rheumatoid arthritis. 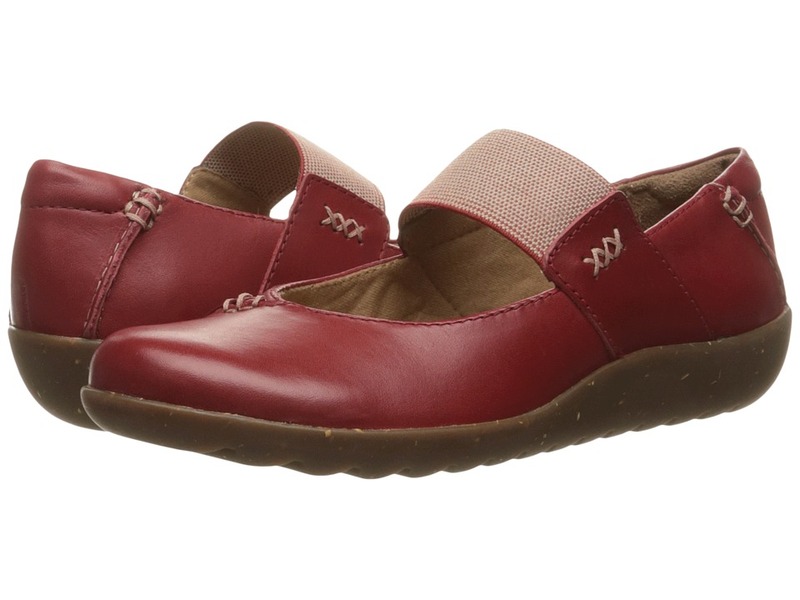 My womens comfort shoes help me walk longer before the foot pain sets in. The worst thing that can happen to you is that you have to cut your day short and head back to the hotel because your feet hurt. When we were in Versailles I wore a Mephisto mobile women's sandal and in most ways it was good. The only thing was that I got gravel in them and also I got some blisters. Mind you I walked all day. I should have worn my Sas with a sock even though it was summer. The Mephisto mobile women's sandal worked everywhere else and my dressier Mephisto sandal worked for evening. Actually I don’t know if I would have taken my Sas ( or other closed toe shoes in summer) just for the rocks. You would have to decide how much that would bother you. Make sure your heel is secure and not slipping out of the shoe. I take a wide shoe but have a narrow heel so even if I get mary jane shoes I will need a strap. If you wear orthotics make sure it fits in the shoe. Buy gel pads they are great and give you an added bit of comfort. Many countries in Europe and in Latin America have cobblestones. Extra padding in the footbed will help. Also pack Dr. Scholl's blister treatment pads these came in really handy on many of my trips. Wear good socks like cool max that keep you dry. I also take a pair of sockets. I can get away with a thick flexible sole in a flip flop. I have a black pair with crystals. I can wear them out for dinner with a skirt, in places like Mexico, when I have a lot of foot pain and leg pain. This works in a beach town, but they are not really good for the health of your feet. Don’t do any serious walking in them. Cole Hann, Nike or maybe Clarks dance shoes might work for you. I recently took up dancing again. My husband and I have been learning to Tango. I have finally found a good pair of womens comfort shoes for Tango. I use a trotter for my lessons. I put them on and take them off before I leave. I saw a most beautiful pair of silver and purple stilettos on a young woman in Paris at Tango by the seine, but alas even she put them on for the evening and removed them before she left. Parisian women tend to wear a quality comfort shoe for everyday wear and look fashionable at the same time. Many of them wear mary janes. I will just keep dreaming of my stilettos even though I will never wear them again traveling or not. 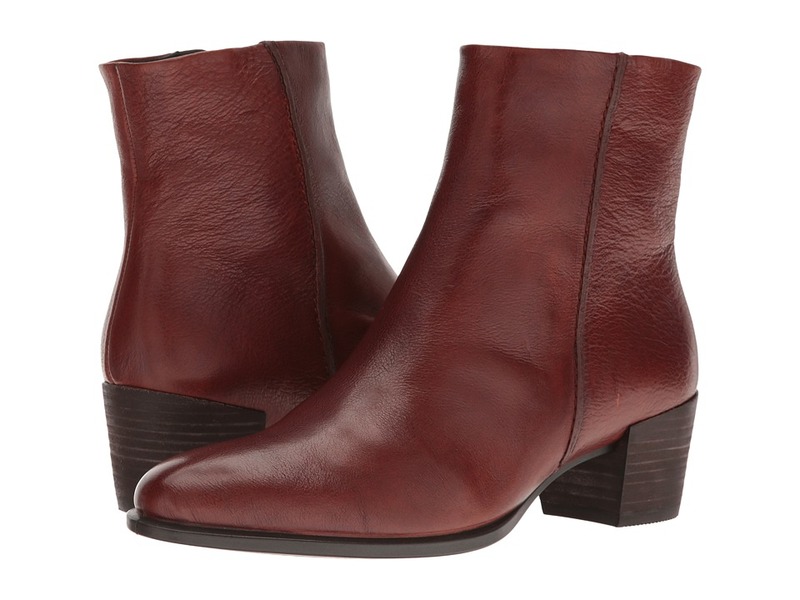 Women's Shoes + Free Shipping! A lot of the same tips apply for mens comfort shoes as womens comfort shoes. 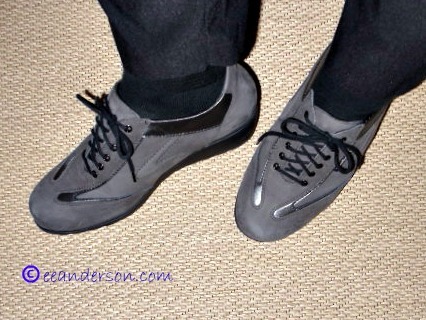 My husband wears Rockport walking shoes and he has a pair of Men's Dress Lace-Up Shoes he swears are like wearing slippers they are so comfortable. He has good feet but even his get tired after a long day of visiting museums. Don't buy cheap shoes. Try to get by with wearing one pair, pack one pair and a flip flop for the beach or hotel room. Buy the best comfort shoes you can afford. Put comfort before fashion (I know this is a dilemma) There are nice women's comfort shoes out there just take your time finding the ones that are just right for you. I suggest black because you can wear them with anything.